Browser Utility is the PUP that uses misleading techniques to prevent removal. Use Reimage to locate malicious components and get rid of them faster than with uninstall instructions. A full system scan blocks virus reappearance and prevents traffic to malicious domains. How can Browser Utility hijack my computer? How to remove Browser Utility virus? If 'brought by Browser Utility' and similar ads are showing up every time you are trying to browse, it is very likely that your PC has been affected by a program that belongs to 'adware' or 'potentially unwanted program' category. In other words, it is another ad-supported browser extension, which may infiltrate PCs without an appropriate permission asked and then initiate various annoying and unwanted activities. Such and similar programs are deceptively promoted as useful tools that are supposed to improve people's browsing experience. Browser Utility plug-in is not an exception – it says that it is a useful application that will make one's surfing more secure and will protect him/her from phishing attacks. Unfortunately, this application may initiate various opposite activities… It seems that it is capable of modifying browser's settings in order to display various commercial advertisements. Typically, they appear as popups, banners and in-text links when users visit such online stores as eBay, Amazon or Bestbuy. Besides, it is very likely that Browser Utility will display you various offers related to the websites that you recently visited because this “useful” application may act as a tracking cookie. It may install tracking software on your computer and then record information related to your browsing activities. It is important to mention that such and similar adware-type programs are used by third parties mainly for one purpose – make money. They use personally non-identifiable data to provide users with more personalized advertisements and seek to increase possibility that someone will click them. By using this technology, they are able to drive visitors' traffic to sponsored websites. 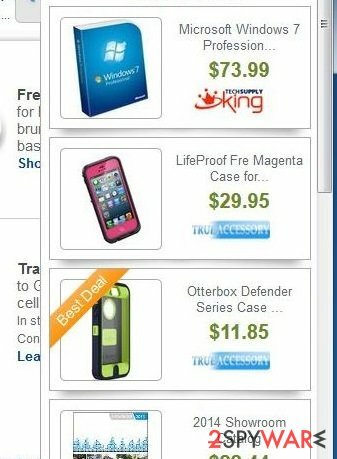 Clicking on these ads is quite dangerous as they may redirect you to unsafe web pages as well. If you do not want end up with installing another potentially unwanted application or virus, do not ignore Browser Utility redirects and remove this program from your system as soon as you detect it. In order to avoid intrusive 'Ads by Browser Utility', 'brought by Browser Utility' and similar ads, you should be more attentive when installing doubtful programs. If you are experiencing constant redirects and other inconveniences, act now and remove this PUP from your system. This guide should help you to do that. Here, look for Browser Utility or any other recently installed suspicious programs. Wait until you see Applications folder and look for Browser Utility or any other suspicious programs on it. Now right click on every of such entries and select Move to Trash. When in the new window, check Delete personal settings and select Reset again to complete Browser Utility removal. Once these steps are finished, Browser Utility should be removed from your Microsoft Edge browser. Here, select Browser Utility and other questionable plugins. Click Remove to delete these entries. Now you will see Reset Firefox to its default state message with Reset Firefox button. Click this button for several times and complete Browser Utility removal. Here, select Browser Utility and other malicious plugins and select trash icon to delete these entries. Click Reset to confirm this action and complete Browser Utility removal. Here, select Extensions and look for Browser Utility or other suspicious entries. Click on the Uninstall button to get rid each of them. Now you will see a detailed dialog window filled with reset options. All of those options are usually checked, but you can specify which of them you want to reset. Click the Reset button to complete Browser Utility removal process. This entry was posted on 2014-09-19 at 04:10 and is filed under Adware, Viruses. You can quickly scan the QR code with your mobile device and have Browser Utility ads manual removal instructions right in your pocket. How did you remove Browser Utility ads?